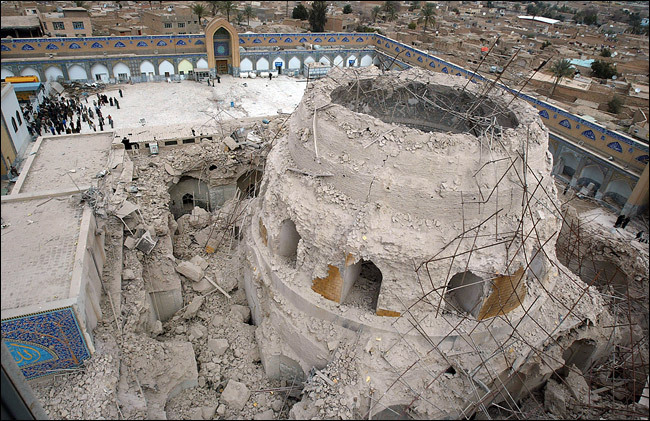 The destroyed dome of the Al-Askari Mosque in Samarra, Iraq. It was bombed by insurgents in 2006 and 2007. It’s usually pretty exciting to get your hands on a document that was previously classified as Top Secret. This one was no exception. After reading it, I just blinked a couple of times and shook my head. Declassified by the Department of Defense Office of Freedom of Information. Props to them. 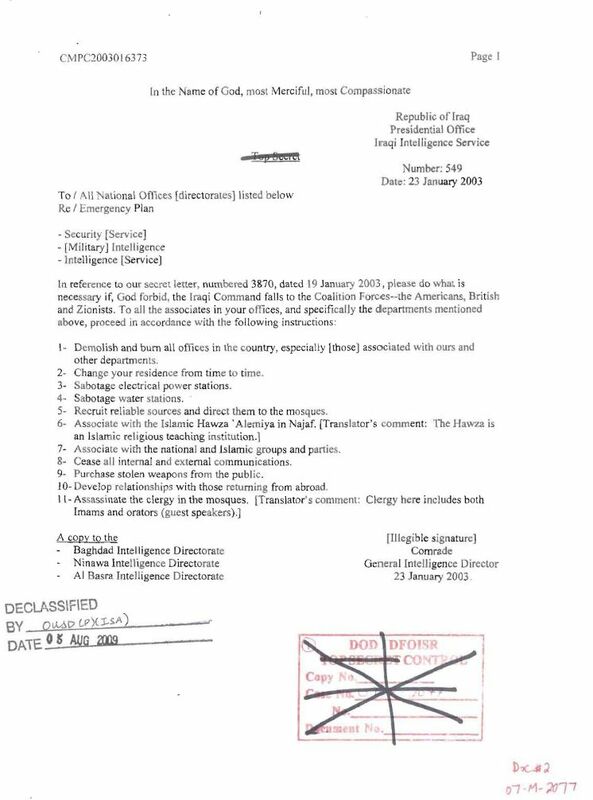 This document is among the 50,000 boxes of Iraqi documents seized by “DOCEX” during “Operation Iraqi Freedom” and stored at the US Army’s Foreign Military Studies Office in Fort Leavenworth. 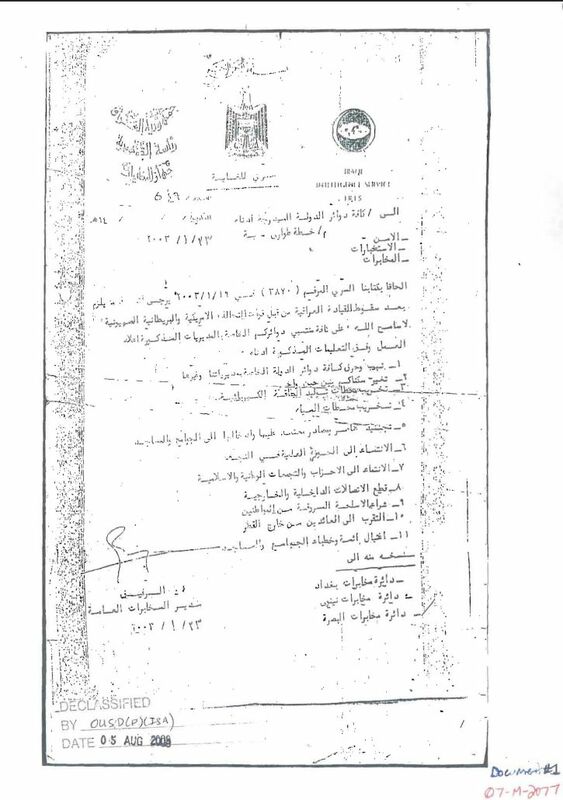 In March 2006 the Bush Administration made these documents public on a website in an attempt to “leverage the internet” to prove that Saddam Hussein did indeed have WMD or intentions to produce WMD. As Ray Robinson notes, the Islamic Hawza (an Islamic teaching institution) in Najaf is the Shia base of power in Iraq (Saddam’s Baath Regime was predominantly Suni). The politically influential Grand Ayatollah Ali al-Sistani presides over the Hawza which also has given support to Muqtada al-Sadr and his formidable Mahdi Army. I as well am an aspiring blog writer but I’m still new to everything. Do you have any recommendations for first-time blog writers? I’d genuinely appreciate it. brain dead visitors? 😛 And, if you are posting on other sites, I’d like to follow you. Would you post a list of the complete urls of all your social community pages like your Facebook page, twitter feed, or linkedin profile?